Today is a magic day in the Gonsales family home. 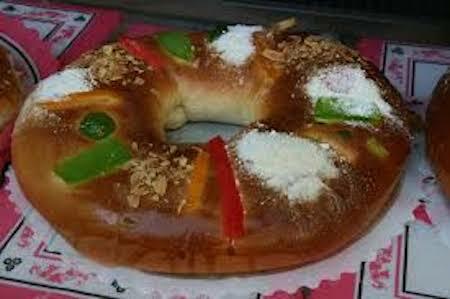 It is the 6th of January and the three wise kings have visited them during the night and so all the family are going to eat the famous: “Roscón de Reyes” (The Three Kings cake) after opening all their presents. The Kids eat big pieces of the cake just to find the surprise inside. But what they don´t know is that the surprise is that this Kings Cake is alive. Every time somebody cuts a piece of cake, the surprise jumps around inside the Christmas cake and hides in a different piece. Finally, the alive surprise has no more pieces of cake to hide in, as there is just one piece left on the plate. The mother, who is not very hungry takes the last piece of cake and what a surprise when she finds the prize in there! They all enjoyed breakfast together, having fun and being together.